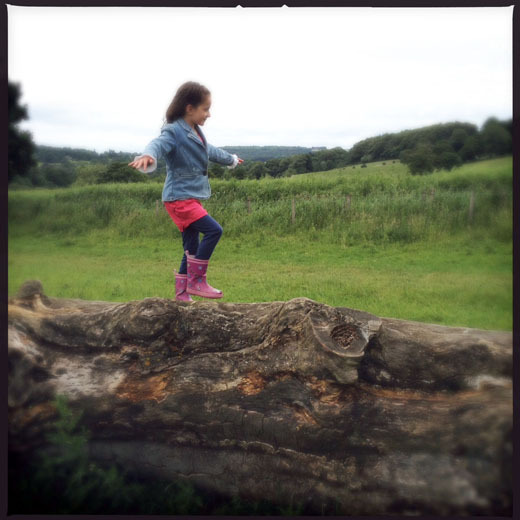 Developing a sense of balance is a crucial skill to learn as you grow up. A good game to play that helps this is walking the plank. The game can be adapted to anything you can balance on; from fallen trees to walls or even low fences. Using your sense of balance at an early age is important as unfortunately as you get older it diminishes. So if you play this game with children, they will probably beat you at it. So next time you are in the park, find a fallen tree and see who can walk along it without falling off – those that do get eaten by the sharks. Find a tree stump and see who can balance on it the longest. Then try to see how can do it with their eyes closed. Here is an article from the New York Times about childhood and your sense of balance. Jo Shinners liked this on Facebook.